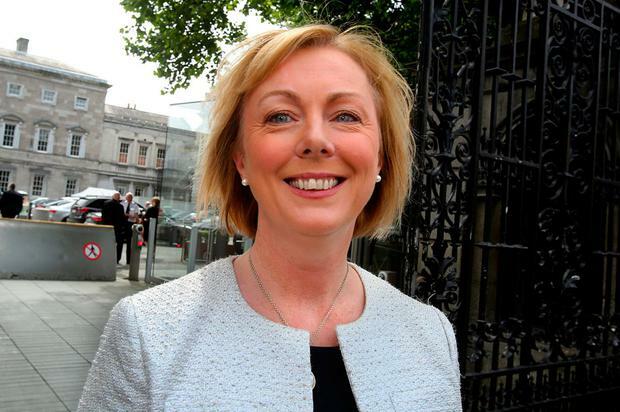 Staff at Regina Doherty’s department were among those to take the highest amount of sick leave last year, as the bill for the public service jumped €4m to €341m. This compared to an average of under nine days across the public service. It is the second highest ranking among civil service organisations in new sick leave tables – behind prison officers, who took an average of almost 16 days each. Taoiseach Leo Varadkar’s department lost the least number of days per worker, with the average civil servant there taking just 3.5 sick days during 2017. New figures reveal the cost of sick leave across the public sector rose from €337m in 2016 to €341.5m last year. Pay rises and a hike in recruitment pushed it up. However, the cost of public sector sick leave has fallen sharply since 2013 when it was €370m, and the average days lost was 9.5. Public Expenditure and Reform Minister Paschal Donohoe said the number of days lost has dropped, but there is still room for improvement. “Savings continue to be achieved, however continued progress is required,” he said. In the civil service, the average number of days lost was slightly over 10 – but it was higher at seven offices. These included the welfare department and prison service, the CSO, Garda Síochána Ombudsman Commission, Revenue, Road Safety Authority and Department of Transport. Across the public service, garda civilians topped the list. They were on sick leave for almost 12 days. This compared with almost 10 in health, and slightly over 10 in the civil service and local authorities. The average in the Defence Forces was eight days, and over five days among teachers. The number of days lost per garda was under seven. They have an “injury on duty” scheme not included in their record. Overall, the average number of days lost dropped slightly from 8.9 days in 2016 to 8.8 days last year.